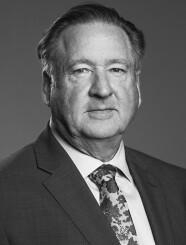 Mr. Crisham has been involved in Business Development activities including the Sale of privately held companies, strategic partnering, joint ventures and buy-side acquisitions for 25 years. Mr. Crisham’s career has included senior operating management positions in private and public companies, as well as ownership of 3 companies. The focus of his career over the past 20 years has been on the sale of privately held businesses. During this time frame, he has been involved in the sale of hundreds of companies. Included in his experience is the development of joint ventures with companies in Germany, Austria, and the United Kingdom. Responsibilities have included board/officer level positions at several companies. Prior to that, he served as the President of MEMSco, a MEMS inertial sensor technology company and Wellington Group, Inc., a company providing sell-side services to privately held companies and buy-side services to both private and public companies seeking acquisitions. For 12 years Mr. Crisham was a member of the management of Geneva Capital Markets. In the capacity of Executive Vice President, he was instrumental in significantly expanding the number of middle market transactions completed. During his tenure with Geneva, the unit he managed was responsible for the completion of over 300 transactions. The functional basis of his career was in product marketing where he held several product management positions with Scott, Foresman and Company. He earned his MBA from Lake Forest School of Management in Lake Forest, Illinois, and his BSBA in Marketing from Arizona State University in Tempe, Arizona. Mr. Crisham is a licensed real estate Broker in the State of California and a member of the Association for Corporate Growth.